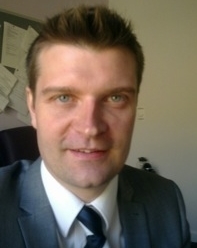 Dr Giles Berrisford is the lead clinician at the Birmingham Perinatal Mental Health Service and Chair of APP. The service supports women at risk of PP before conception, during pregnancy and during the first postpartum year. There is a well-established inpatient Mother and Baby Unit, a community team and strong links with obstetric services. His research interests centre around the use of psychotropic medication during pregnancy and the needs of partners during episodes of postnatal mental illness. In April 2016 Giles was appointed Associate National Clinical Director for Mental Health (Perinatal) by NHS England. Dr Jessica Heron is the Director of APP. Jess is a Senior Research Fellow in Perinatal Psychiatry at Birmingham University. She is a Psychologist by background and her research interests include: recovery from PP; partner experience; models of care for women with postnatal illness; postnatal hypomania (‘the highs’) & bipolar spectrum symptoms triggered by childbirth; patient information development; & facilitating service user involvement. Find out more about Jess’s research, publications, and activities. For further information click here. Kim manages the day to day operations of the charity, including finance, HR, IT and governance. She is also responsible for grant fundraising and grant management. Kim is a charity manager with many years’ experience in the international development sector; she joined APP in July 2017. Ellie coordinates APP’s peer support project. She trains and manages peer support volunteers who have recovered from PP and supports them to offer support to recovering women & their families. Ellie is a peer supporter herself and was a peer support volunteer for APP before becoming the coordinator.Ellie experienced PP after the birth of her son Moses in 2011. Ellie’s background before working for APP was in HR and care management, supporting people with learning disabilities. In her spare time Ellie enjoys meditation, listening to music, and attempting to create some art occasionally! Hannah works alongside Ellie in co-ordinating APP's peer support project. She is also a peer supporter and attended the first training session held by APP in 2012. Hannah also undertakes a Regional Representative role for APP making links with other women and families, together with a range of professionals, to raise awareness of PP and APP. Hannah had an episode of postpartum psychosis in 2009 "out of the blue" after the birth of her eldest son Sebastian and spent time in a general psychiatric ward as well as a Mother & Baby Unit. After the birth of her second child Reuben in 2013, she stayed well and had no recurrence of PP. Although originally a classically trained musician, Hannah's most recent work has been in adult social care; when not running around after her boys, she enjoys listening to music, country walks and boxercise. Linda works with Lancashire Care Trust providing face to face peer support and information to mums / families affected by PP at Ribblemere MBU in Chorley and in the local community. Linda had PP after the birth of her daughter in 2012 and spent some time on a general psychiatric ward before being transferred to a Mother and Baby unit. She has previous experience of offering face to face peer support to mums through volunteering in the NCT Parents in Mind pilot project. Linda joined APP in October 2018. Emma manages the APP office which includes developing processes and providing administrative support to APP’s Director and staff team. She is also responsible for managing events, training sessions, and fundraising campaigns, as well as developing relationships and communications with service users, supporters and fundraisers, via the APP website and social media. Emma has over fifteen years administration and project management experience working within the charity sector. Emma officially joined APP in January 2018. Andrea was APP’s first peer support project coordinator and set up and established the APP peer support forum and 1 to 1 service. She has many years experience as a peer supporter herself and trained to give peer support to women with postnatal mental illness with the Mums4mums project at Warwick University. She is also part of the RC of Psychiatrists Perinatal Faculty Executive Committee as a representative of the Patients & Carers group. Andrea experienced PP after the birth of Jake in 2006. Andrea has a Digital Design and Marketing background and is a Karate instructor in her spare time. Ian is the former Chair of APP. He is a world-leading expert on Postpartum Psychosis. He is a Perinatal Psychiatrist & Reader in Perinatal Psychiatry. He leads a perinatal research group in the Department of Psychological Medicine at Cardiff University & works with Professor Nick Craddock investigating genetic factors involved in perinatal mood disorders & bipolar disorder. Ian is President of the UK and Ireland Marcé Society (UKIMS) and in 2010 was awarded the Marcé Medal for his work on Postpartum Psychosis. Find out more about Ian’s research, publications, and clinical work. Joss is a Senior HR Business Partner at Lloyds Banking Group. Clare is a freelance journalist who has had bipolar disorder since her early 20's. She experienced an episode of PP after the birth of her first daughter. She is the Vice-Chair of trustees for the national mental health charity Bipolar UK. She is the research editor of ‘Pendulum’ & is a Research champion for the BDRN. Clare is doing a PhD at the Institute of Psychiatry on decision-making regarding pregnancy in women with bipolar disorder. Click here to view her article about bipolar and childbirth. Sarah is a registered nurse and has a strong interest in Perinatal mental health. She experienced PP after the birth of her son Alex, in 1995. 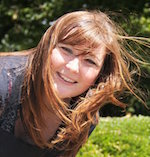 Sarah has trained as an APP Peer Supporter and Service User Research Consultant. She is APP's Regional Representative for North Wales. She is passionate about supporting women and their families affected by PP, and is keen to campaign for greater awareness and improved services. Jackie is a lawyer who experienced episodes of PP after the birth of both of her sons. Jackie helped to set up APP and worked as the project’s co-ordinator when her sons were small. Jackie returned to full time work with the Law Society in December 2001, but continues to campaign for improvements in perinatal care. Jackie is a research champion for the BDRN and co-facilitates the Birmingham branch of MDF: The Bipolar Organisation. Professor Brockington is a world renowned expert in women’s mental health. He treated women in his clinic at the Queen Elizabeth Psychiatric Hospital Mother & Baby Unit in Birmingham for over 20 years until his retirement from perinatal psychiatry in 2001. He also was a founding member of the Marce Society for Maternal Mental Health and was instrumental in developing our regional Mother & Baby Mental Health Services. Professor Brockington officially retired on 30 September 2001 but has continued to publish and speak at international conferences. Since ‘retirement’ he has published a number of papers and books (see the books & resources page). Professor Nick Craddock leads the Mood Disorders Research Team and Bipolar Disorder Research Network which is based across the Department of Psychological Medicine at Cardiff University and Department of Psychiatry, University of Birmingham. Nick's research group uses clinical and molecular genetic investigations to better understand causes and triggers of bipolar spectrum mood disorders and psychosis. His specific interest is using research knowledge to improve clinical diagnosis and management. Nick has a long standing interest in postpartum psychosis and works closely with Ian on genetic and clinical studies of PP. For more information on Nick’s research, click here.